So now you’ve purchased, or are considering purchasing a fire pit, but want to know how you can take maintain it. 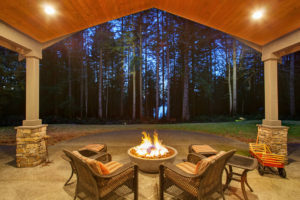 Naturally, an outdoor fire pit can be a costly investment, especially if you’ve had a gas line fixed so you’ll want to make it last for as long as possible while getting the most use out of it. Finding the right pit and place for it. If you haven’t found or purchased a pit yet, then finding the right one can make maintaining it a lot easier. Some fire pits can be weatherproof, or weather proofed, allowing some breathing room in regards to maintenance. You’ll want to search for reviews to help you pick the right one, but be careful when reading them. Sometimes a person will put that a pit did poorly when it can be easily assessed that they simply weren’t doing enough to take care of it. Regardless of weatherproofing or quality, you will need to put in certain amount of effort to maintain your pit. 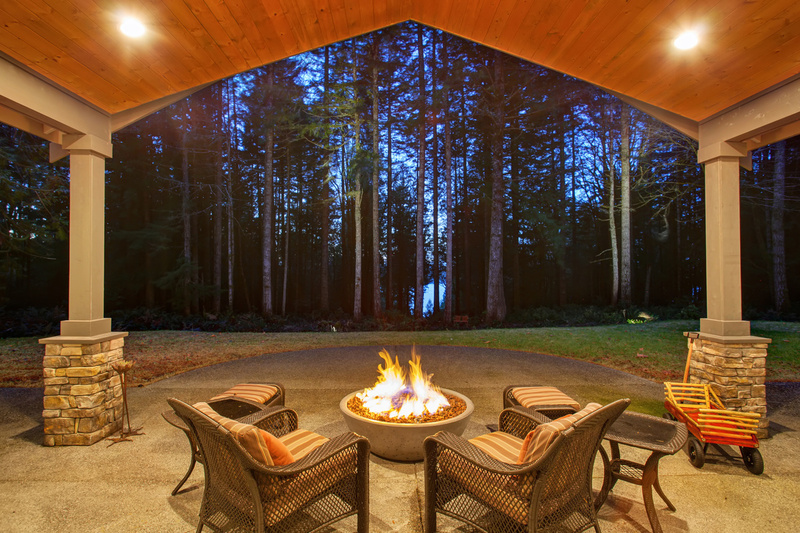 Finding the right place for your fire pit can be just as important as caring for it. You’ll want to find a place that has low wind coverage. If the wind blows hard, it can spread ashes and embers creating both a cleaning chore and a safety hazard. You’ll want at least 5 feet of pavement around the pit. Although that is primarily for safety, it can help with cleaning as well since a flat surface can be easier to clean and flora might stand out more. If there are any trees or flora nearby, clearing them or trimming them back enough will help keep leaves and other flammables out of the pit. Cracking is a major problem in cold regions. Using a fire in low temperatures can cause cracking or warping, regardless of stone or metal. The same goes for using water to extinguish your fire. That’s why reinforcing your pits can prove a worthwhile investment. If a crack does appear, be sure to check that it is only minor. If several cracks appear, or a significant crack emerges, repairing the damage is recommended before starting your next fire. Even in warm temperatures, splashing water onto a fire can cause a temperature shift which can cause cracking or other damage. It’s best to let the fire extinguish itself and only use water for emergencies. What you burn is important. You can’t burn any type of wood, since a lot woods, especially those not cut for burning, can release toxins and fumes when burned which can be harmful to you and the pit. Using leaves or more flammable woods as accelerants are also healthier than using chemical accelerants. After the fire, you don’t want to leave any ash or burning embers. Ash can be acidic and can damage the material of the pit. Furthermore, embers burn for longer than the fire itself which makes cleaning up after your fire all the more essential. You’ll want to wait a day after the fire for everything to safely cool down. Then you’ll want to gently douse the pit with water to try to snuff out any remaining embers. Once that’s done you can start cleaning by removing any logs or other large remnants from the pit. Removing any major clutter makes removing the smaller pieces much easier. After that is done, you can take a broom, and sweep the ash out of the pit, into a metal container. Being thorough is key, so scrubbing the catch or pit with soap and water should get rid of anything you might miss with the brush or broom. Make sure you dry it properly as well, so as to prevent rust. You’ll want to keep the ash you collect in a safe place until it is properly disposed of. And there you have it! Your fire pit is ready for another lovely night of outdoor cooking!